Bye bye to STSADM. all administrators and developers working with SharePoint 2010 Sooner or later need learn PowerShell scripting. The SharePoint 2010 Beta Developer Training Kit provides developers with deep guidance on how to develop for SharePoint 2010. Through PowerPoint decks, Hands-On Labs, Source Code, and Instructor-Led Videos, the developer kit walks you through an array of important developer topics--including Developer Roadmap, Visual Studio tooling, Workflow, Business Connectivity Services, and much, much more. Finally! my long waiting SharePoint Server 2010 beta ready for download… (http://technet.microsoft.com/en-us/evalcenter/ee391660.aspx) I installed successfully on VMWARE Workstation alternatively you can use VirtualBox. Given below step by step Installation guide. By default Lenovo T61 laptop’s ship with virtualization technology and set VT is disable. Go to VM > Setting > Options > Shared Folder > Enable and Select your Pre-request software download folder. Note : if you trying to install Hotfix’s from your Share Folder system may prompt “error code 0x80070003” please copy your hotfix files to Windows server and click Install. Select Standalone option, if you Installing with SQL Express 2008 server, if you are Installing SQL Server 2008 and SharePoint 2010 farm servers then select Server Farm option. Since i am using VMWARE installation i select Standalone option. System would take several mints to complete installation and prompt for Configuration Wizard. Step 2 on Configuration wizard click “Yes” to start IIS and SharePoint Admin, Timer service. Congratulations… you successfully Installed SharePoint 2010. Get registration key by registering your information (Windows Live ID), I love Outlook 2010 features… its very cool. SharePoint Server 2010 Beta provides an extensible platform to rapidly build solutions using familiar tools such as Visual Studio 2010 and SharePoint Designer 2010. Today I installed Windows 7 Ultimate N, After installation understand that N version does not include media player, due to some reason Microsoft remove Windows media player, if you wish to Install windows media player you can download The Media Feature Pack for Windows 7 N and Windows 7 KN which will install Media Player and related technologies on a computer running Windows 7 N or Windows 7 KN edition. Please note that the file size is around 271 MB. Today i install Windows 7, I love Preview in Sidebar feature which allow me to have a quick preview of the file that selected in any folder. The File Preview feature on Windows 7 currently works for Audio, Video, Text and all document files. 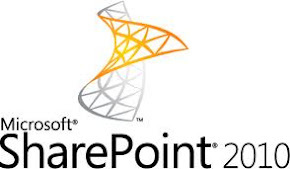 On TechNet you find SharePoint 2010 Products poster documents in different formats including Microsoft Office Visio 2007 files (.vsd), PDF files, and XPS files. This posters illustrate how you plan to incorporate Microsoft SharePoint 2010 Products in your/customer environment. Please note that This article is pre-release documentation and is subject to change in future releases. In terms of product features SharePoint Server continues to have Standard and Enterprise CAL tiers of features. Microsoft also enhancing free basic search offering in Search Server Express 2010. The FAST Search capabilities will be available via the FAST Search for SharePoint add-on server for customers with the Enterprise CAL. SharePoint Designer remain is free. SharePoint Workspace (formerly Groove) is included in Office Professional Plus. Click Operations in SharePoint 3.0 Central Administration, and then click Service accounts under Security Configuration. Under Windows service, click Single Sign-On Service. Under Configurable, specify the password, and then click OK.
Over 6,500 intranet end users from 20 different organisations have responded to the Worldwide Intranet Challenge (WIC). From these responses, we can gain a good understanding of how end users currently perceive intranets and what they think makes them valuable. Based on article Staff being able to contribute and interact with the intranet’ is seen as the second least important quality of a valuable intranet by intranet end users. Interactive functionality such as wikis, blogs and discussion forums do not appear to be considered as important as the basics of an effective intranet, such as finding information and quality of content. When user view MySite the don’t have way to come back to Corporate Portal Site. So we thought of adding link to MySite. Under Shared Services you can add Personalization site link. If you nice there is a person image icon embedded in to Navigation bar, its happen because of the MySiteView=1, which automatically appended by system. To overcome above issue you need added # at end of the URL (i.e. http://yourserver.com/# which will display pages as normal. 4. Locate your App Pool account and right-click on it and select ‘Advanced Settings’. 5. Click on the right of the Identity box to change it (A window will pop up). 6. Click on Set and simply retype your App Pool Identity in there with the new password. Today i received request from customer to add Hit counter on SharePoint site homepage. Let's go through how to insert "Hit Counter"
1. SharePoint Designer Open Site and Page that you need insert "Hit Counter"
2. Open Page in Edit Mode and place the cursor where you want to insert the hit counter. 4. Select Hit counter and System display different types styles that readily available. 6. To start the counter on given number Select Reset counter to option and give number to star. 7. Once you click OK, The counter will be inserted to your page. 8. Preview on Web browser and start refresh your page the counter will increase count.